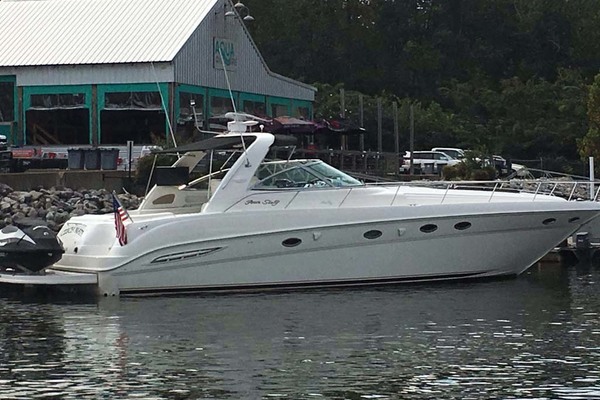 This 1998 Catalina 400 is A MUST SEE. Sailing Vessel “Volare” is new to the market, and ready to be your next yacht. With owners who take real pride in ownership, her meticulous upkeep is immediately noticed when stepping aboard. 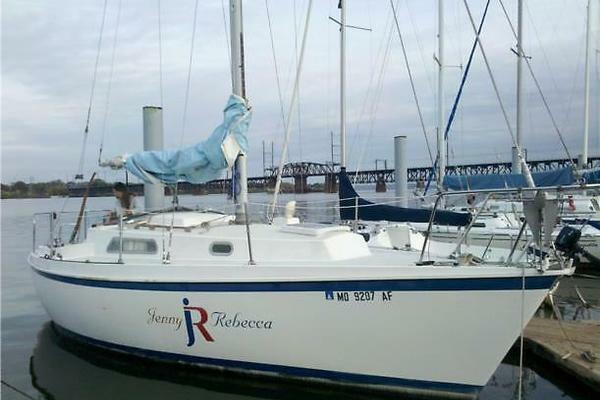 If you are looking for a pristine, fresh water 40’ Sailboat, your search is over. Her Large Aft Cockpit is great for entertaining guests at the dock, or at Sea. Twin Wheels give the driver optimum views at any angle of sail. Down below, her wrap around galley is a great use of space, with solid surface counter tops and great amenities. To port, is a well-equipped navigation station, a must for longer passages and trip planning. 2 Staterooms/ 2 heads make her perfect for a family, or a cruising couple. One of the most loved features of the 400 is the Centerline Queen Bed in the large, aft Owners Cabin with storage, two hanging lockers, and a private head with walk-in shower. The solid construction of the 400 makers her well suited for coastal or offshore cruising with a fiberglass structural grid under the floor for stiffness, as well as a well-engineered plumbing and electrical system. The exciting Catalina 400 represents a high point in the modern evolution of performance cruising boat design. The large aft cockpit with twin wheels is functional, ergonomically correct and beautiful. Rigging is stout and easy to keep tuned for optimal performance. Sail controls like the double ended mainsheet and rigid boom yang are logically arranged to efficiently manage the 400's powerful sail plan. The accommodations are the finest in her class. The cabins are naturally lighted and ventilated by skylights, hatches and ports. The galley is equipped for serious cooking without compromise. Varnished teak, ash, and coordinated fabrics complement the custom countertops and durable textured overhead. The 400 is equally beautiful in less apparent areas such as the carefully engineered fiberglass sub-sole structural grid and well-planned electrical, mechanical and plumbing systems.